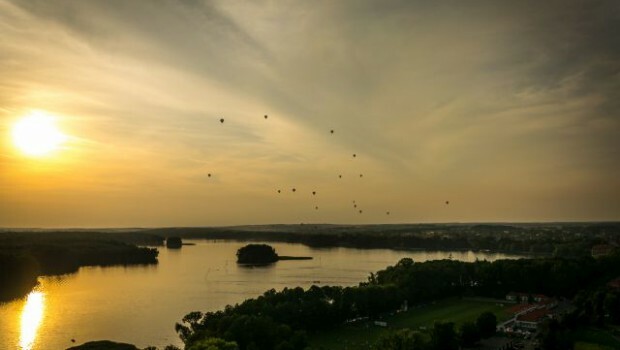 Balloon Festival in Szczecinek is the balloon event dedicated to all Balloon Teams who want to visit one of the most beautyfull part of Poland which Drawsko's lake district is. In this part of Poland, we can find more then 200 lakes, wild forests, beautyfull hils and pure nature which is not "touched" by the industry. The Szczecinek city is an old town which always has been a perfect place for summer activities. Ballooning is still not popular in Poland but Szczecinek during last years started to be a "balloon city" in northern part of the country. Every year we have more and more viewers who come from whole region. Thanks to our sponsors, we are able to provide for 80 Balloon Teams the gas for balloons, accomodation, food and many atractions. We will be very happy to see you in Szczecinek.